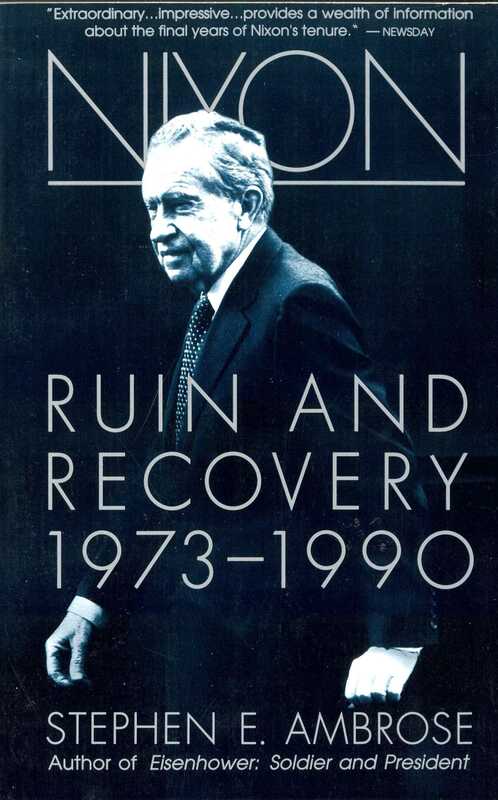 In Nixon: Ruin and Recovery, 1973-1990, Stephen E. Ambrose completes his acclaimed biography of the man many historians call the most fascinating politician in American history: Richard Milhous Nixon. Rarely before on the stage of global politics has one man, respected and reviled, blessed and cursed, held us in such rapt attention. Using Nixon’s own words, private writings, and tape-recorded conversations, Ambrose captures the man and all his contradictions as he faces the ordeal of Watergate and its aftermath, the long road back to public life. Watergate is a drama with high stakes and low skullduggery, of lies and bribes, of greed and lust for power. At its center is the obsession of the country and much of the world with President Richard Nixon himself. It is a remarkable play of foolhardy heroism as Nixon risked everything trying to maintain dignity and his job, when he alone had the power to determine the outcome of the scandal, whether by resigning, confessing, destroying evidence or defying the courts and Congress. Ambrose explains how Nixon destroyed himself through a combination of arrogance and indecision, allowing a "third-rate burglary" to escalate into a scandal that overwhelmed his presidency. Yet even after his self-exile from Washington and the Republican Party, even after the national outcry that sealed his shame, Nixon would not go gentle into oblivion. Ambrose provides an unforgettable portrait of the older Nixon in San Clemente, drawing on his seemingly endless reserves of determination, laying the groundwork for yet another comeback, a return to the arena that would defy all odds. 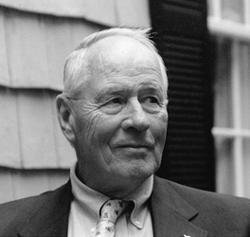 Ambrose illuminates all the hidden years, and we see Nixon’s gradual transformation from pariah to valued elder statesmen, respected internationally and at home even by those who had earlier clamored loudest for his head. This is the story of Nixon's final fall from grace and astonishing recovery.